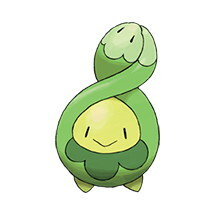 This page contains all the information available for Budew in Pokemon Ultra Sun and Moon including the moves learnt by level up, egg moves and TM moves. Natural Cure The Pokémon’s Stat (BURN, PARALYZE, SLEEP, POISON, FREEZE) is healed when withdrawn from battle. Poison Point The opponent has a 30% chance of being induced with Poison when using an attack, that requires Phy contact, against this Pokémon. Leaf Guard Prevents the Pokémon from receiving Stat conditions during strong sunlight.